In recent years, the use of Response to Intervention (RTI) by schools has become a topic of controversy. 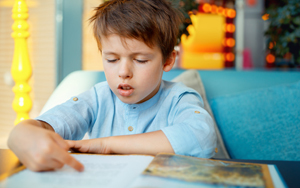 This can be traced back to the 2004 reauthorization of the Individuals with Disabilities Education Act (IDEA), when the law was changed to reflect new standards for identifying and educating children with learning disabilities. The purpose of RTI was to encourage schools to identify students facing difficulties early on and to provide appropriate instruction in order to prevent the unnecessary referral of children for special education services. Responding to those concerns, the U.S. Department of Education (DOE) issued rules clarifying that under no circumstances should RTI prevent parents from requesting an evaluation or seeking special education services for their child. This is intended for all students, with many states mandating that it occur for one school year, repeated each year from K-4th grade. Not all states require a full school year. In Tier 1, the general education teacher provides primary intervention to all students through “variable and flexible grouping formats in the general education setting.” However, once a student is identified as “at risk”—regardless of when this occurs during the year—that student must be transitioned to RTI Tier 2 immediately. This is a common point of confusion for parents, and even for schools. While Tier 1 screenings “repeat” from K-4th grade for students who have not been identified as “at risk,” this does not mean that the process “reboots” every year for students who have been identified as “at risk” and should therefore have been transitioned to Tier 2 in a timely fashion. This is usually intended for the roughly 10-15% of students who are not making adequate progress, and is “short term,” lasting from 8 to 20 weeks in most states. This is intended for the roughly 1-2% of students who are not responding to Tier 2 intervention, and is also a “short term” intervention, lasting from 8 to 20 weeks in most states. Tier 3 intervention must be provided by highly trained, skilled, and knowledgeable school personnel who are capable of providing specialized intervention, usually outside of the general education classroom for 30-60 minutes, 5 times per week. For parents, it is important to note these timeframes and to identify the specific timeframes used in their state, as use of the RTI process to delay a student’s evaluation or referral for special education services is strictly forbidden under the IDEA. RTI is meant to supplement and improve the educational tools available to students with specific learning disabilities, not to undermine the purpose of the IDEA. Parents should be encouraged to check their individual state’s timelines for the three-tiered RTI approach (usually available online). However, in doing so parents should remain clear that these timeframes must never be cited by schools as a rationale for delaying a child’s right to be evaluated or referred for special education services. Matt Saleh, is a Research Faculty member at Cornell University’s Yang-Tan Institute on Employment and Disability and a 2015-16 Fulbright Scholar through the U.S. Department of State.